As the world’s population approaches 9 billion, the strain on the planet’s resources is steadily increasing. In both the developed and developing world, there is a growing demand for better food, more sustainably manufactured and used goods, and better access to utilities such as clean water and electricity. These are needs that can only be met by improving production as well as producing products in a sustainable manner in all areas of industry, increasing the need for sustainable raw materials. Chemists play major role in ensuring a continued supply of the fertilizer, medicines and other chemicals needed to support the world’s population. They also design processes and products that reduce or eliminate the production of unwanted or hazardous chemicals that can potentially damage the environment and thus contribute to sustainability. To encourage researchers to come up with new solutions, Elsevier is holding its first Green and Sustainable Chemistry Challenge. At Elsevier, it’s our vision is to create information solutions that improve outcomes for our customers and also benefit society. This challenge will enable us to work with the research community to make a positive impact on society. “Chemistry is one of the key players for a more sustainable future. 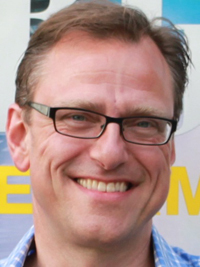 This holds for the products, resources and processes themselves as well as for their contribution to sustainability as a whole,” said Prof. Klaus Kümmerer, Professor of Sustainable Chemistry and Material Resources and Director of the Institute for Sustainable and Environmental Chemistry at the Leuphana University in Lüneburg, Germany. The challenge is not just to have greener but more sustainable solutions. That is a huge challenge for chemists, however, at the same time it is also a huge opportunity for both chemistry and chemists to make this world better. Participants are asked to submit proposals outlining innovative ideas that advance access to environmentally friendly and sustainable chemical processes or products that contribute to sustainability and are suitable for use in developing countries. The contest is open to individuals and organizations in both the not-for-profit and commercial sectors from all countries. Projects can be in any field of green and sustainable chemistry as long as they are applicable for use in developing countries. Proposals can be submitted from June 1 to September 14. These will be reviewed by a board of scientific experts, and the Top 50 proposals will be announced in October. From this list, the scientific jury will select the top five proposals. These finalists will be invited to the Green and Sustainable Chemistry Conference in Berlin April 4 to 6, 2016, to present their proposals. 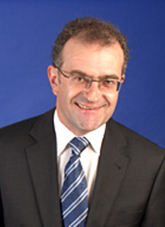 This conference, chaired by Prof. Kümmerer, will be an international scientific meeting with renowned speakers from around the world. The winners of the Challenge will be announced at the end of the conference. The first prize winner will be awarded €50,000, and the second prize winner will receive €25,000. 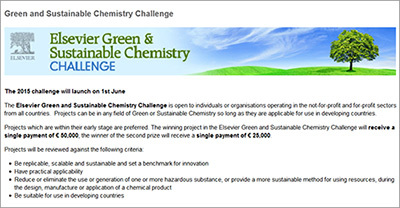 The Green and Sustainable Chemistry Challenge will be open for submissions on June 1. The deadline for initial proposals is September 14, 2015. The contest is open to individuals and organizations from all countries. The official rules and entry forms are on the challenge website. You can follow the challenge and conference on Twitter by following @ElsevierConnect and using the hashtag #GreenChemChallenge.